The Atlas is very easy to use and even though the screen is reasonably small, it is a touch screen one. That makes it very easy to use, and figure out. If you’re too lazy to get up from your couch you can just use the remote control it comes with. The screen also always displays what options you have selected (input/output) and what bitrate file you’re “playing” (like PCM – 44.1kHz). Make sure you’ve selected the correct input and output as there’s no auto select. Using the streamer by accessing it via IP is also very easy and the MOODE audio player just does an excellent job. 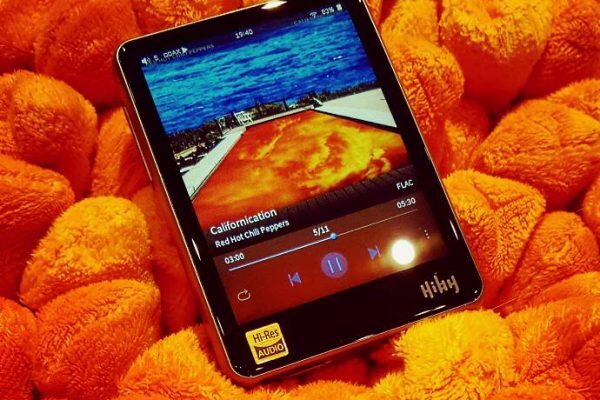 You get a great overview of your collection, it’s easy to select tunes and to make playlists and. The Atlas streamer in so many regards is much better than the other streamers I have in my collection and that was a very nice surprise seeing this isn’t the primary function of this unit. It shows that Flux only wants the best for this unit. As previously mentioned in this article the Atlas doesn’t come cheap, but one shouldn’t forget you’re buying a very versatile “all-in-one” unit, with nothing but top quality components, great build quality and excellent sound. But more on that in the next chapter(s). 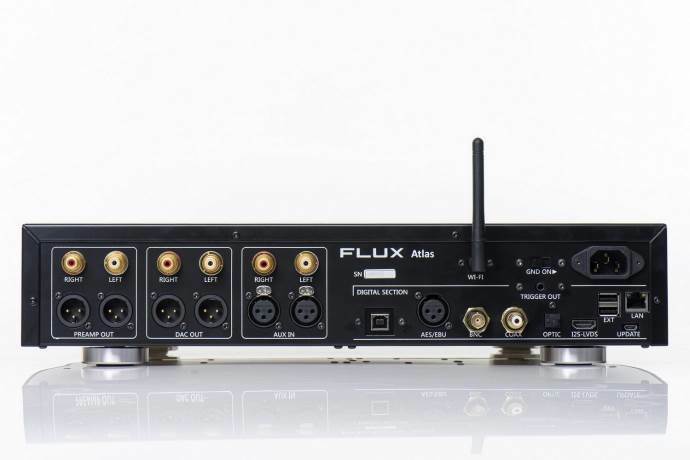 The Flux Acoustic Labs Atlas at the moment is selling for $4990USD and batch one is sold out already. Accessory wise I was positively surprised. Most of the time you, even with high-end units, don’t get any cables included but this isn’t the case here. The Atlas comes delivered with a power cable, UTP cable and USB cable. Next to that it comes with a remote control (+battery) and manual so you have almost everything you need to use all the functions of this unit. 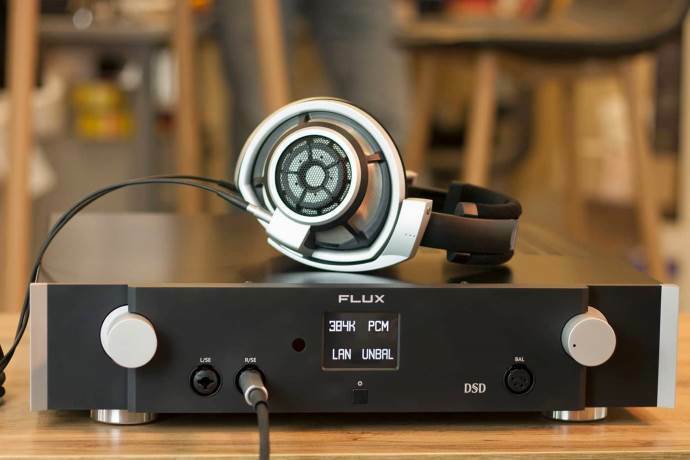 Flux Lab Acoustics advises to use the Atlas at all times with the mid or high gain setting to get the very best sound quality. I found it to perform excellently however in the low gain mode already. There as a matter of fact is an extra high gain setting available and it’s hidden inside the menu structure. It allows you to increase the highest gain from 21.2db to 23.9db. Inside the Menu you’ll also find different DAC settings with 6 different options from Sharp and slow, to Short SH, Low DISP, Super SL and short SL. They really help you to fine tune the perfect sound for the headphone you’re listening to. These comparisons were done using the Xduoo XT10II for Coaxial, AES, Optical. The USB source was the Pro-Ject Audio Stream Box S2 Utra (Laptop -Roon) and for the wireless test the streaming was done from a local NAS. The headphone used is the award winning Meze Empyrean in balanced mode. Do note that the differences discussed below are not night and they, it are more subtle changes. 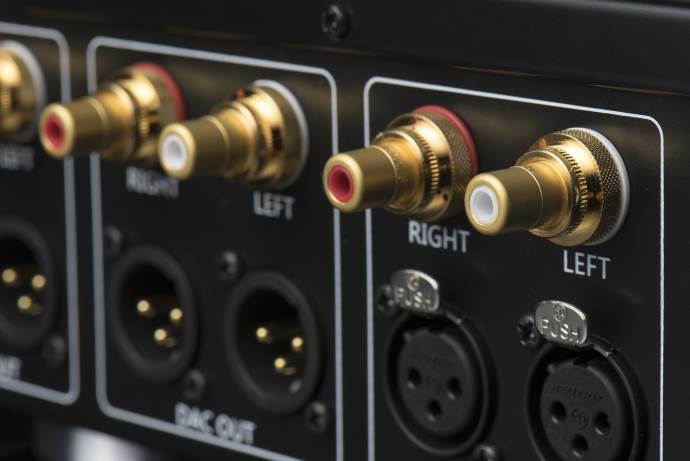 Coaxial: You get a full bodied sound all over. Excellent bass impact, depth, presence, speed and tightness. Musical weighted mids with excellent spaciousness, airiness, depth and layering. Vocals are very clear and slightly forward. The treble is energetic, precise but stays musical. Treble never becomes harsh. From the Coax connection you get a high quality, natural sound with great musicality. Optical: Compared to the coaxial you get a more spacious sound from bass to treble but this is mostly so in the mids. Body is lighter overall but the clarity level is higher on the other end. You get a more neutral presentation and the voices even though still more forward feel a little softer. Treble is more energetic and draws more attention to it because of the lesser body. For some people this treble might be a bit “too much” and sharp already. From the AES input you get a very airy and spacious sound and to me it feels a little too spacious even. Bass is more like with the Coaxial connection but not as tight. Treble is also similar to that of the coaxial input and so you in the end get a sound signature like that of the Coaxial input, just more spacious and airy. The USB-input input for me sounds best as it takes the best bit of the other connections. You get just the right amount of body in bass in mids, a great sound stage width and depth, excellent layering, spaciousness and all the detail you need. The Empyrean sounds fast, precise and just delivers a high quality sound while staying musical all the time. The wireless input for me sounds identical to the USB input, I really couldn’t hear any real differences there. For this test I used the Violectric V850 DAC, hooked up to the Pro-Ject Audio Stream Box S2 streaming music from my Laptop/Tidal over Roon. In full single ended mode (RCA input and single ended headphone output) just get a more concentrated sound and the spaciousness of the balanced output isn’t there. Treble also becomes a little harsher but we’ll get into the difference of balanced vs single ended output in a bit. If you’re using a single ended analogue input, you can’t use the balanced headphone output. And yes, it continues on the next page, by clicking here.